21. Ba3 Qg4 22. Nf3 Rd8 23. Ne5 Rxd1 24. Rxd1 Qe4 25. Nxf7 Nh4 26. Bd6+ Kc8 27. This was back in the day when 40 move time controls were standard, so I'd just gotten out of time trouble and have an hour left in this position. 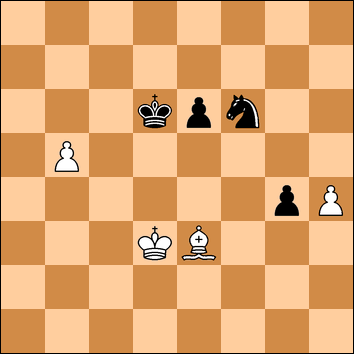 While the material is equal, black has some problems here: first, white's bishop is extremely strong. 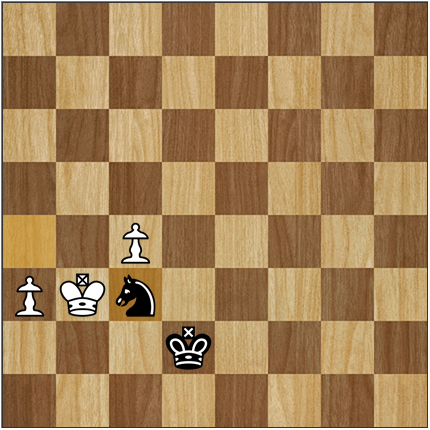 It controls several key squares, one of which is the queening square of white's passed b pawn. While white's b pawn is isolated and a distance from his king, it's also difficult for black to really get at it. 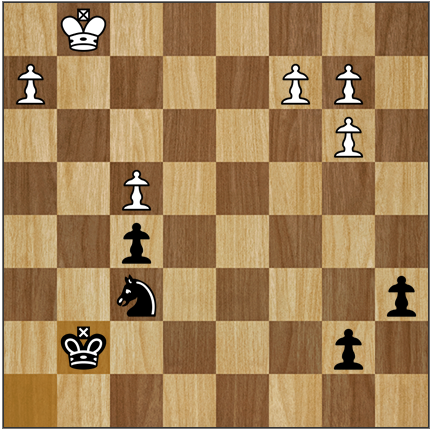 ...Nc3 obviously loses immediately, as white simply pushes his pawn and wins. 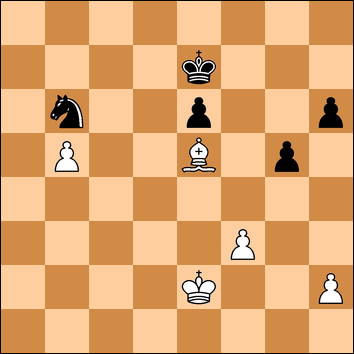 Since white will move his bishop to e5 next move, there'll be no future opportunities for this either. 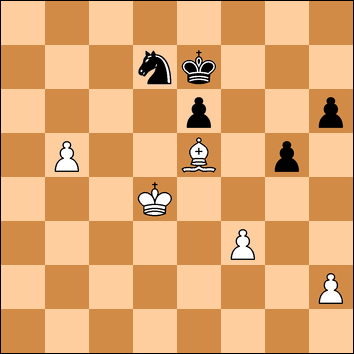 Black also will have to deal with his kingside pawns, since they will come under attack from white's bishop. 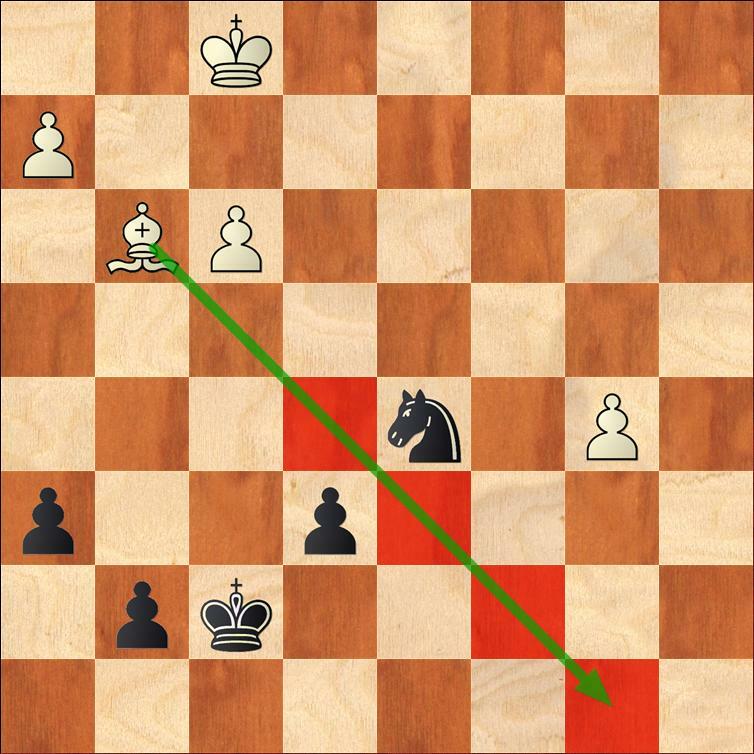 I thought for half an hour on this move as it's the kind of position where black needs to play every move perfectly or he will lose. Here I have the choice between g6 and g5. Any sort of plan involving g6/h5 loses. For example: 42...g6 43. Ke2 Nb6 44. Kd3 Kd8 45. Kd4 Kd7 46. h4 Kc8 47. Bg7 h5 48. Ke4 Kd8 49. Kf4 Ke8 50. Kg5 Kf7 51. Bd4 e5 52. Bb2 (52. Be3?? 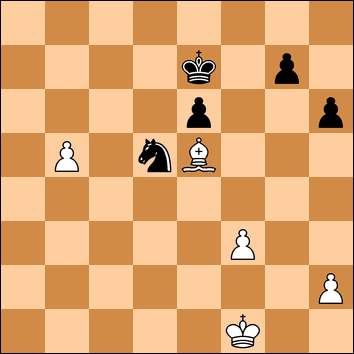 Kg7 followed by Nf8 and white gets mated) and black loses. 42... g5 43. Ke2 Nb6?? 44. Kd3 Nd7 45. Kd4?? Instead, 45. Bc7 is the winning move that we somehow both missed. 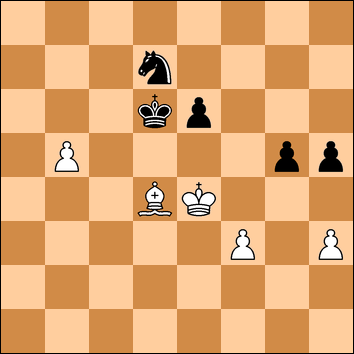 Since h8 is a dark square and white has a dark squared bishop, any plan involving sacking black's knight for the b pawn won't work as long as white's able to keep his h pawn. Having once again gotten myself into time trouble, I blundered at this crucial moment. While I'd seen the correct move, I somehow convinced myself that it didn't work, and instead lost the game a few moves later: 54. b6 Nd7 55. Ke2 e5 56. h5 Ke6 57. b7 and I resigned. 54. Bg5 Nh5 55. Ke4 Ng3+ and white's forced back. 54. Ke2 Kc7 55. Kf2 Nh5 56. Bc5 Kb7 57. Ke3 Nf6 58. Kd3 Kc7 59. Kc4 Kb7 60. Be3 Kc7 61. Bg5 Nh5 62. Kd5 Kb6 63. Kxe5 Kxb5 (or 63...g3) and black draws. Please let me know if you see any errors I've made, and I hope you enjoyed! nice analysis, there's something to these games where you struggle for a draw that teaches you the value of defending. A draw is half a win and half a point after all. Do you know chess.com? It's a great site for chess, discussion, playing etc., has a lot of soul, even if it's not the most modern technically. Anyways, gl hf in chess and Sc2! Oh and especially since you seem to be about 2200-rated, I wonder how you both missed Bc7 ;P but i guess that's easy to say in hindsight. In retrospect it is strange that we both missed it, but I guess crazy stuff can happen after a long day. I play a bit on Chess.com as FLABREZU. The live play definitely isn't as good as on ICC, but it's not bad. 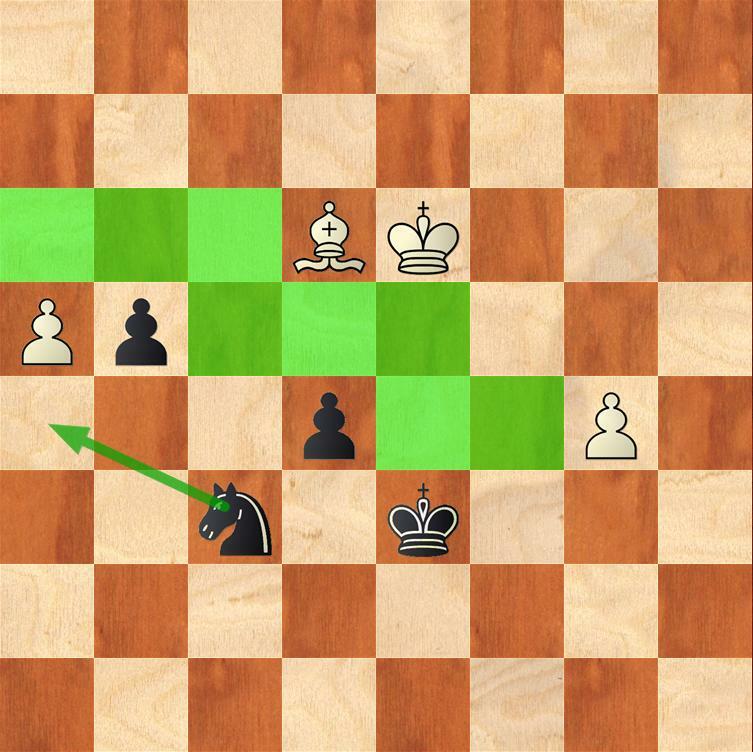 Endgame in chess are really merciless. One mistake and you can lose instantly, if your opponent seizes the moment, that is. I horribly misplayed it, using general principle instead of concrete calculation, and soon found myself in a completely losing position with him marching his h pawn. Miraculously, he blundered by taking a meaningless pawn on f5 with his king, instead of moving it towards g7 (his King was previously on g6), which gave me a tempo to get my king in place (1 tempo is everything indeed) and draw was secured. This convinced me that it's time for me to finally put some time into endgame studies. No feeling is more horrifying than the one where you think you won because it's K+P vs. K+P+ a piece but then it suddenly dawns on you that he's going to queen a pawn.